Giuseppe's has a parking lot by the front door of the restaurant. Live Jazz in our Lounge: Dave Hall plays saxophone Weds, Thurs and Fri. Tom Senff plays keyboard Sat. Our private dining room seats up to 45 guests. Doors and 4 solid walls make the private room completely private. It is available by reservation on a first-come first-served basis. Private room dinner packages may be viewed on our website, giuseppeslexington.com. Or guests may order from dinner menu. Or create a custom menu for your event. A screen is provided free of charge; projector available for rental. Ideal for business meetings, family celebrations, holiday parties, rehearsal dinners. There’s a quiet country road hiding near one of Lexington’s busiest intersections. Tucked down the lane in a tree-lined cove, Giuseppe’s has been serving great Italian cuisine serenaded by live music for the last 21 years. Renowned for its fresh fish and seafood, hand-cut steaks, traditional and contemporary pasta dishes, homemade desserts and extensive wine list, Giuseppe’s captures its guests with the ambience of candlelight, easy sounds of slow jazz and a taste of passion which flows from your fork, making every dish its own invitation to return. Whether you prefer a table in the main dining room, the lounge, or the patio, Giuseppe’s is the perfect romantic spot for dates and anniversaries, and it’s also a favorite for large gatherings of family and friends. Giuseppe’s Private Dining Room provides a relaxed, intimate venue for business and social events. That is how something so hidden still stands out, and that is why those who find us return again and again. Baked mushroom caps stuffed with italian sausage, cream cheese, onions & peppers. Grilled portobello mushrooms & fresh mozzarella wrapped with prosciutto ham and topped with a balsamic vinegar glaze. Fried risotto balls stuffed with prosciutto & fontina cheese. Potato dumplings baked in your choice of a cream sauce with fontina cheese,or a tomato basil sauce with melted fontina. Breaded squid rings lightly fried and tossed with sautéed banana peppers. Homemade lump crab cakes with aioli. Mozzarella cheese, lightly breaded and fried. Served with marinara. Italian bread toasted with garlic & mozzarella cheese. Served with marinara. Asparagus spears grilled and served with balsamic drizzle. 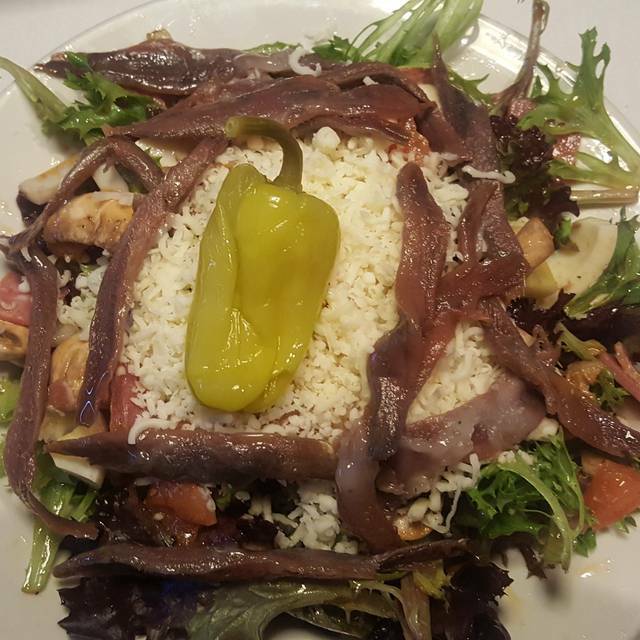 Entrees are served with your choice of soup, insalata verde or insalata cesare. An insalata caprese, italian wedge, insalata gorgonzola or insalata giuseppe may be ordered with your entree for $5. Salad dressings: italian vinaigrette, balsamic vinaigrette, ranch, french, parmesan peppercorn & blue cheese. Northern white bean soup with tomato, basil & garlic. The chef's homemade soup of the day. Fresh leafy greens topped with seasonal vegetables. Diced tomatoes, fresh mozzarella, red onions & basil tossed with mixed spring lettuces & balsamic vinaigrette. Fresh iceberg wedge with crisp pancetta, creamy gorgonzola dressing, diced tomatoes & croutons. Mixed spring lettuces, gorgonzola cheese, candied walnuts & sliced apples, tossed with balsamic vinaigrette. Fresh leafy greens tossed with salami, prosciutto ham, kalamata olives, diced tomato, boiled egg, mushrooms & red onion tossed with house italian vinaigrette. Topped with fresh mozzarella cheese and pepperoncini. Romaine lettuce tossed with seasoned croutons, parmigiana & homemade caesar dressing. Chicken & veal dishes are served over a bed of spaghetti or with the vegetable of the day. Stuffed with prosciutto ham and provolone. Served with a marsala wine and sage sauce. Sautéed with a blend of white wine, lemon, butter & capers. Lightly breaded and fried, then topped with marinara, mozzarella & parmigiana cheeses. Lightly sautéed with a marsala wine & mushroom sauce. Lightly breaded and sautéed & over capellini in olive oil and garlic with fresh lemon and pecorino romano. Chicken breasts lightly breaded, fried and stuffed with pepperoni and provolone. Served over a bed of spaghetti with marinara. Grilled chicken lightly sauteed with asparagus, broccoli, spinach, onions, sun-dried tomatoes, carrots and zucchini tossed with the pasta of the day in olive oil, roasted garlic cloves, basil pesto and grana padano parmesan. Pasta of the day tossed with sun-dried tomatoes, mushrooms, kalamata olives, red onions, olive oil, pecorino romano & garlic. Bay shrimp & lump crab meat tossed in a pesto-cream sauce with asparagus & prosciutto,and topped with pine nuts. Baked layers of ribbon pasta, ricotta, mozzarella, provolone, parmigiana, ground sirloin, italian sausage & marinara. Fettucine tossed with grilled chicken or beef tips, prosciutto, sun-dried tomatoes & snap peas in a marsala-cream sauce. Served in a roasted red pepper cream sauce with fontina and romano cheeses. Fettucine tossed with sautéed prosciutto ham & bacon in alfredo sauce. Giant pasta tubes stuffed with ricotta and parmigiana cheeses. Baked with marinara and mozzarella. Beef tenderloin tips, portobello mushrooms, yellow onions & spinach tossed with the pasta of the day in a red wine & beef stock sauce. Cheese-filled pasta tossed with sautéed prosciutto ham & asparagus in a pesto cream sauce, topped with toasted pine nuts. Spaghetti tossed with pancetta & peas and sautéed with garlic and olive oil. Finished with egg, pecorino romano cheese and cracked black pepper. Pasta shells stuffed with chicken & ricotta cheese. Baked with marinara & provolone. Slices of eggplant, lightly breaded and fried, then topped with mozzarella and baked. Served with marinara over a bed of spaghetti. Sauteed shrimp tossed with spaghetti, scallions and diced tomatoes in a lemon garlic sauce. Diced clams, capers and kalamata olives sautéed with olive oil, garlic and clam stock. Tossed wih linguine and garnished with littleneck clams. Served with choice of red or white sauce. Sautéed jumbo shrimp with a spicy tomato sauce and spaghetti. 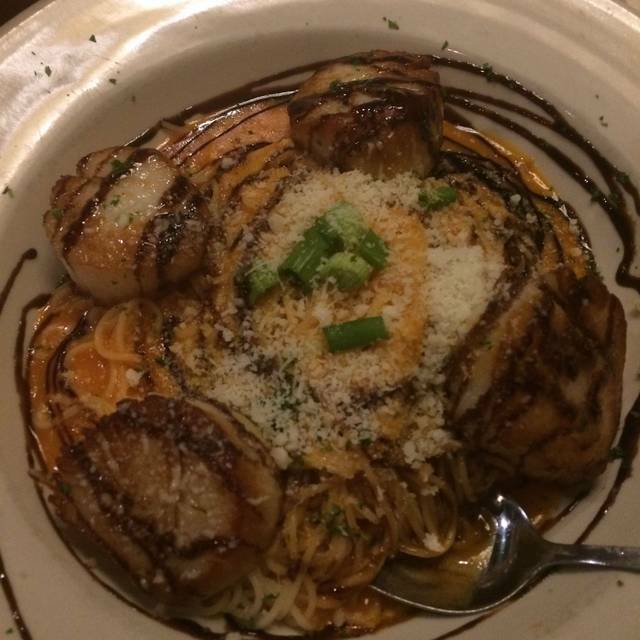 Seared jumbo sea scallops over cappelini with a lobster chili butter sauce. Served with dill lemon butter sauce. Over spaghetti or with the vegetable of the day. With piccata sauce. Served over spaghetti or with the vegetable of the day. All steaks are served with new potatoes and the vegetable of the day. Two four-ounce medallions of beef tenderloin, grilled to order and served with a burgundy-sage sauce with mushrooms. 12 oz. Angus ribeye, grilled to order. A 6 oz. Beef tenderloin filet grilled to order, and three crab-stuffed jumbo shrimp topped with a lemon butter sauce. A half-pound of beef tenderloin, grilled to order. A half-pound beef tenderloin, grilled to order. Topped with olive oil and garlic. A half-pound beef tenderloin grilled to order, topped with sautéed peppers, mushrooms and onions. Always a great Sunday Brunch. Our favorite for Easter Sunday, but great any time. This is one of the best restaurants in town. Food was great and the service was exactly what we like which is not to intrusive or hovering but takes care of the table and you don't feel rushed at the end of the meal. Marvelous evening dining at Giuseppe's. Could not have been better! this restaurant knows how to provide service and quality food! One of the best kept secrets in Lexington!!! Started with fried oysters. They were cooked perfectly. They were nice and hot upon arrival at our table. Crispy on the outside and silky inside. We both had the fish special. Again, served hot, accompanied with roasted vegetables. The salad was romaine lettuce which is usually good. However, the majority of the serving was the rib of the romaine and not the leaf. Too much crunch and not enough green. Server was training a new person, so we have double service. Celebrating a birthday, so it was a good evening. The service was excellent, the atmosphere was ok, but i loved the music. I ordered the new York strip medium and was disappointed, the strip was flavorless and had a lot of connective tissue. The steak was soft and retained it's juices very well. The vegetables served with it was flavorless and watery. The red skin potatoes was spot on and really brightened the dish up. My dish overall was disappointing enough that I will not try it again. I feel like I did not get what I paid for and will most likely not be coming back anytime soon. We always stop at Giuseppe's on our way to Tennessee to visit relatives. Excellent food and service and a comfortable place to dine. 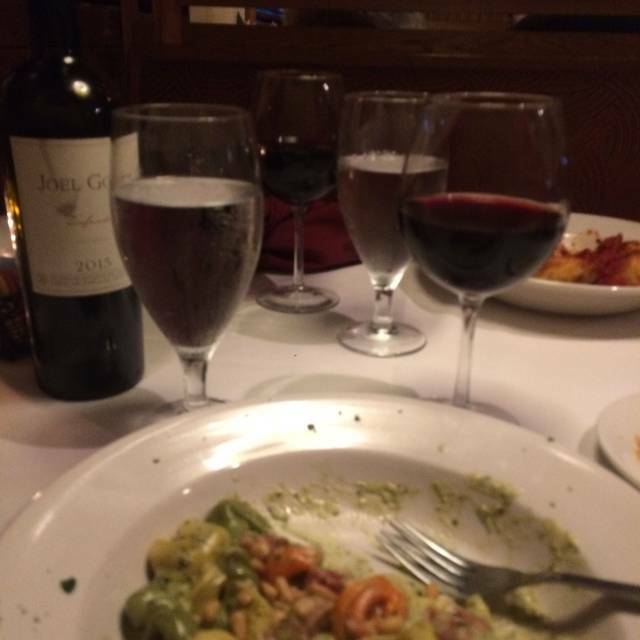 We frequent Giuseppe’s as it is pretty close to our house and is the best Italian place we have had in Lexington. We had family in town and they want to go to Giuseppe’s at least once while visiting. The food has always been very good. I have had the steak, pasta dishes and the fish. 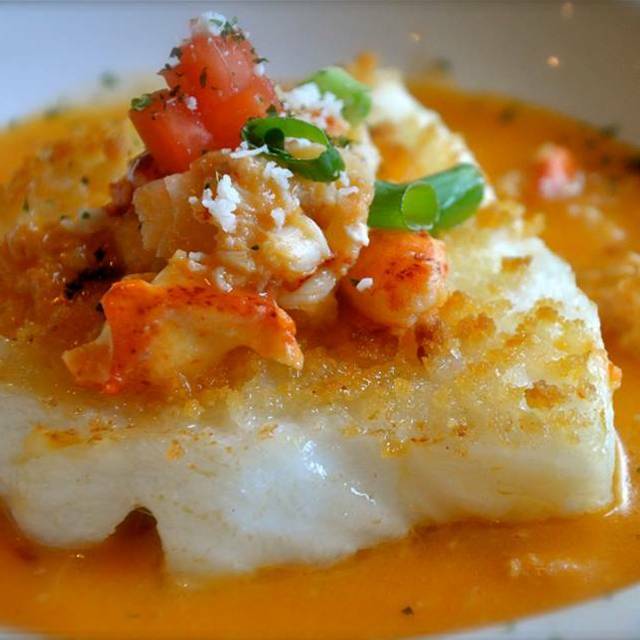 The Halibut is outstanding. My wife loves their stuff shells. 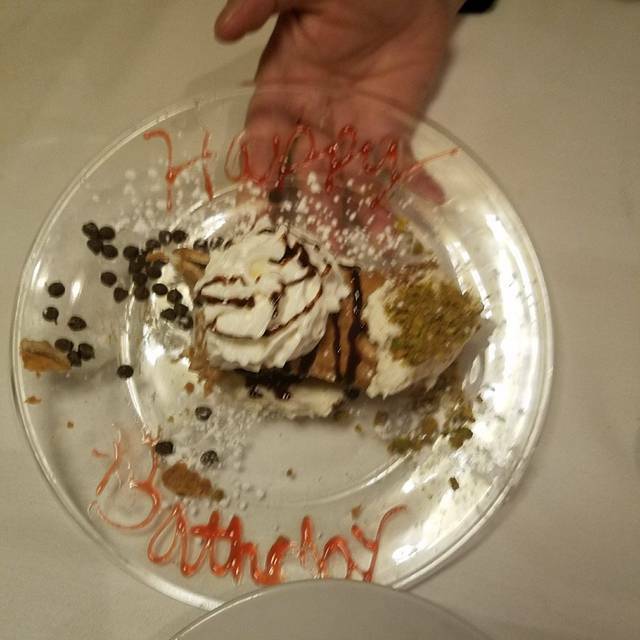 My FIL ordered the lasagna this time and said it was just “ok.” He is the one that has to go every time they are in town, sometimes twice. The restaurant is nice in side and the staff have always been friendly and knowledgeable. The only real negative thing about Giuseppe’s is the parking. They do not have bear enough spaces. I would definitely recommend reservations as it tends to fill up quickly. Truly a great place that isn’t commercialized!! As real as they come! Food was great, service was lacking! The restaurant is always our top choice for a special occasion. Food was good and service was timely and professional. Parking was terrible (cars were all over the lot blocking access to many spaces). No one from the restaurant was outside managing the situation. When we arrived (with reservations made days in advance) we were told we would have a 20 minute wait until the party at our table finished and left. This was acceptable until we found after we were seated at least 10 tables in our area unoccupied???? Guiseppe's Ristorante Italiano was a very pleasant experience for us last Sunday evening. Our server, Cody, did an awesome job of staging our dinner so that each course arrived in a timely manner, without rushing us. 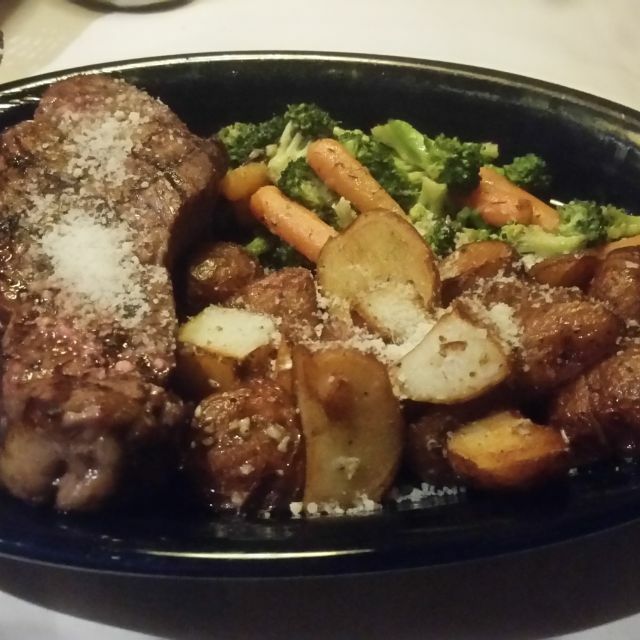 My husband is not a big fan of Italian cuisine, but he loved the ribeye steak with the sauce Cory recommended! I had the penne pasta with shrimp and lobster in a delicious pesto sauce - definitely as good as it sounded! Bread was great, and we shared the tiramisu for dessert - yum, yum! Visiting from out of town (Keeneland 🐎) and wanted some good Italian. This place is a hidden (almost literally) gem in Lexington. Great food and service. Would definitely come back again next time we are in town . Great food. Love Giuseppes. Took a couple of friends visiting Kentucky from Toronto & they were very impressed. My grandson and I enjoyed a great meal with extraordinary service Tuesday evening. We celebrated my son’s birthday. Everything was great. We have been to Giuseppe's many times. Overall, a consistently good experience. Fresh flowers on the table are always a plus, too. We recommend it and will be back. Had a great table along the wall toward the back. No bothersome loud conversations. Service great. Loved the shrimp special entree and fried ravioli appetizer. Portobello beef pasta quite nice too. Fantastic! One of the best restaurants we've ever eaten at. Highly recommend. Food and service are excellent. This is our favorite special occasion place in Lexington. What a wonderful place to celebrate after my daughter’s first art showcase. We were seated promptly at our reservation time and our service was excellent! The appetizers were great and the meal was outstanding, and the dessert, fantastic! 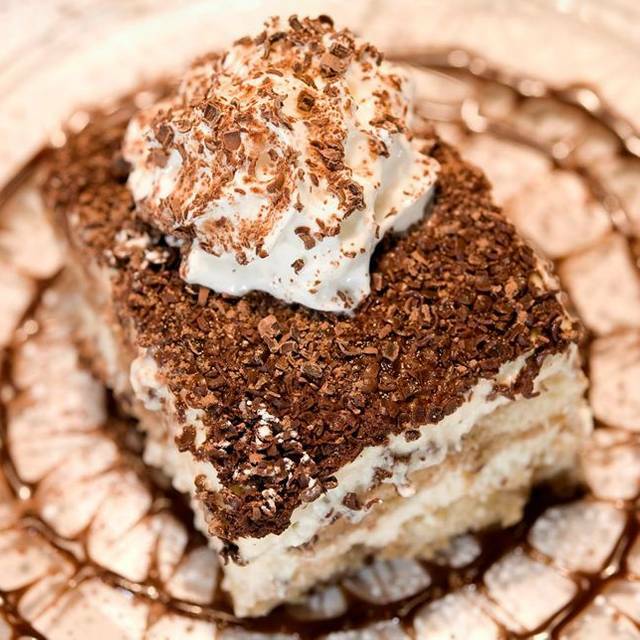 We will definitely make Giuseppe’s a place to visit each time we are in Lexington. Wonderful service and very tasty food. It was an overall pleasant meal for the six of us. It’s difficult to find anything close to authentic Italian fare in this area and I must say this establishment fills that void nicely. A bit pricey, but I expected that after going through the online menu. Noise level is my only real gang up as it was considerably high and I’ll appropriately blame much of that on inconsiderate people rather than the establishment. We will however, return in good time for another outstanding meal! Not awful, but not really fabulous for the price. I would not recommend. Normally, Giuseppe's is one of my favorite restaurants. Service was still great & most food is still great, just warning anyone to be careful if you ask the kitchen to go off menu. they claimed to be able to recreate their linguini w/clam sauce, which they recently removed from the menu, and sadly, they were not. It was awful. Haven’t been as we moved but back in Lexington for a visit and wanted to go to a great restaurant. As usual everything was excellent. Wonderful experience as usual. We will keep coming back. Always delicious, always a great idea. My parents have been coming here as their date night place for about 20 years now. It is like pulling off into a place within the city of Lexington, that feels more like you're at an Italian coastal location. Something out of a Nicolas Sparks novel. The live jazz music will not disappoint in adding to the ambiance. Giving 5 stars is a no brainer. A long time favorite restaurant. Always quality food,service and ambience! 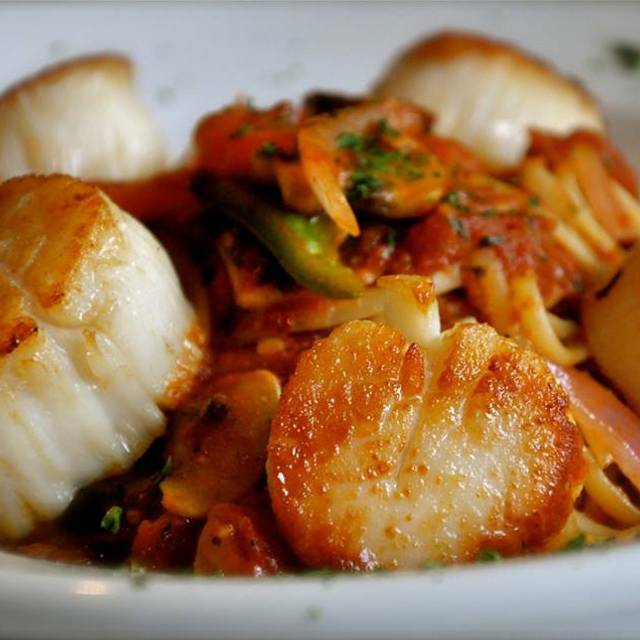 Giuseppe's has the best tasting Italian food you can get commercially in Lexington. Although the place needs a physical facelift (feels dated), our meal was very good. Excellent service and we especially enjoyed the talented musician that was playing on Friday night. Food is a bit expensive, but I'll go back. Quaint Italian restaurant tucked away off Nicholasville Rd. Beautiful live music, great service, and AMAZING food (chicken pepperoni and gnocchi are my favs + an amazing chocolate lava cake for dessert). A great place for special occasions because it is a little bit of a splurge. However, the quality of the food and experience is worth every penny! Delightful—delicious food, great variety, don’t miss it!